The annual Public Interest Environmental Law Conference (PIELC) comes to the University of Oregon March 3-6. For the first time in its 43-year history, PIELC has organized a film festival to preview the conference at the Bijou Art Cinemas Feb. 25. Films will also play as part of the conference itself. At the enviro law conference itself, Mari-Lynn Evans will be a keynote speaker. She directed Blood on the Mountain, an investigative documentary into the economic and environmental injustices that resulted from industrial control of coal mining. The film will play at 4 pm Saturday, March 5, and Evans’ keynote will be at noon the same day. One of the conference panels will host a coal miner from West Virginia, Nick Mullin, who was also a subject in the documentary. He will speak about how the mining industry has affected his community. PIELC organizers say they hope the film festival will help bridge the gap between activists, attorneys and the general population by creating a place for collaboration and discussion. The film festival is asking for a $5-$10 sliding scale donation, though no one will be turned away for lack of funds. The conference is free to the public, but accepts donations as well. 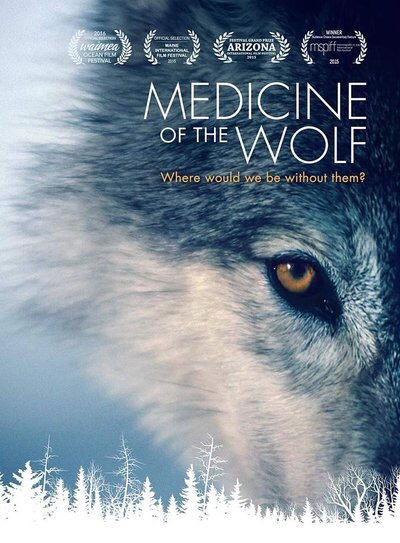 The festival will begin at 6 pm with Cady’s introduction, followed by Medicine of the Wolf at 6:05 pm, Blood Lions at 7:30 pm and The Breach at 9:15 pm at the Bijou Art Cinemas, 492 E. 13th Ave.
PIELC will continue showing environmentally focused films at Straub Hall on the UO campus during the conference. See a full schedule at pielc.org.